Astronomy discovered two titanium oxides (TiO and TiO2) in the environment of giant star Canis Majoris VY. The Canis Majoris VY is not an ordinary star, but its sizes are more from the Sun for two thousand times. The astronomers observed different radio wavelengths and the observations provide different pieces of information regarding the characteristics of atomic and molecular gas, from which the astronomical objects are forming. The team of astronomers observed titanium oxides at the radio wavelengths for the first time, because the titanium oxides in the space have been noticed for the first time. TiO and TiO2 observations showed that the two molecules are formed around the Canis Majoris VY at a location, which predicated in the theory. 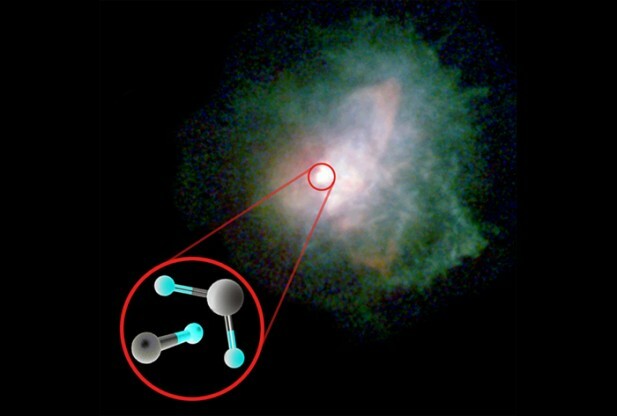 But some part of molecules avoid from dust forming and observable such as gas phase species. Also, there is another possible fact in which the dust is releases new TiO molecules back to the gas. New discovery at radio wavelengths is important, which will allow the astronomers to study the process of dust formations. Also, at optical wavelengths, the radiation emitted by the molecules is scattered by dust present in the extended nebula which blurs the picture, while this effect is negligible at radio wavelengths allowing for more precise measurements. The discovery was done with the Submillimeter Array (SMA). This equipment combines working together eight antennas, and the size of equipment is 226 meters. Also, the new submillimeter ALMA will help the studies. ALMA will allow the astronomers to study titanium oxides and other molecules in Canis Majoris VY.